Little one had a grand time during his 7th birthday celebration! Last year we went all out with a Survivor birthday party. This year, I didn’t have the time or energy to plan another one like that. You’re invited to celebrate Little One’s Movie Star Birthday Party at the movie theater at 1:00 p.m. Join us to sing happy birthday, and have a good time! 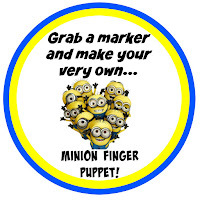 Kids will make their own Minion finger puppets, and a light lunch will be served. Following the party each Minion will receive a VIP Access* to watch the movie and a cool kids movie pack (popcorn,drink & fruit snack). *VIP access does not include parent’s movie tickets they can be purchased at the ticket booth. At their arrival they were handed their very own Minion hats to wear. Before the movie, the kids were busy making their very own Minion finger puppets. I had a clear plastic bowls with glove finger tips cut, and black markers for them to get creative. Click on the picture below so you can get the free printable! All in all, it was a great party! 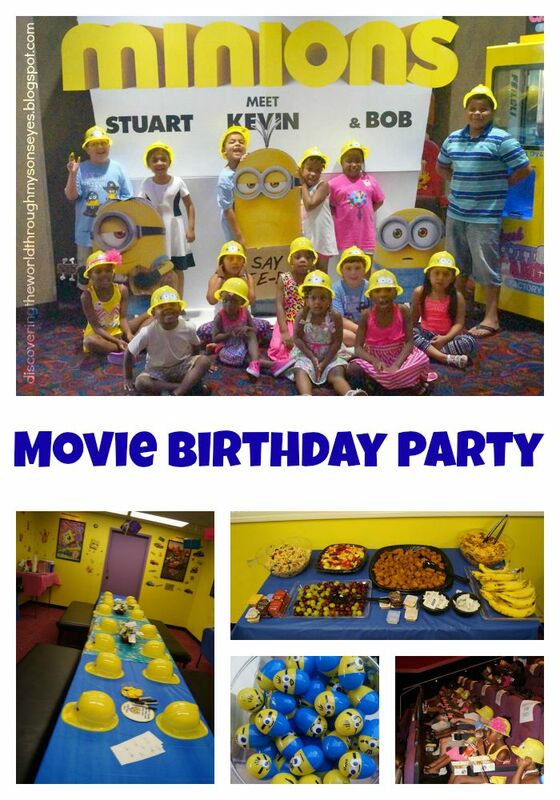 The kids looked adorable marching into the movie theater with their Minion hats, and sitting in the reserved area. @alldonemonkey we were sporting our Minion shirts too!